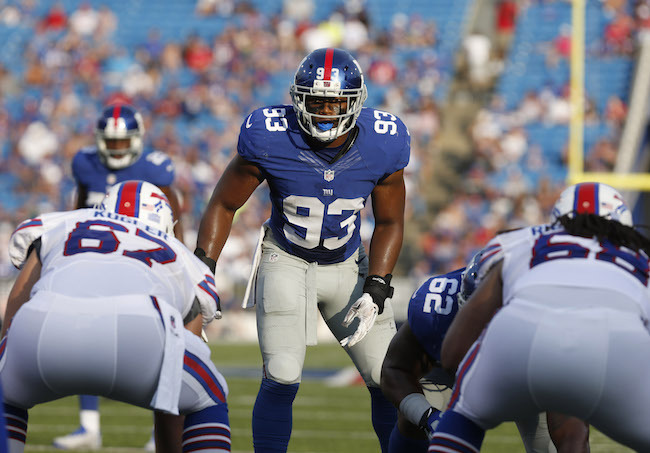 The New York Giants have placed right guard D.J. Fluker (toe), linebacker Curtis Grant (knee), linebacker Deontae Skinner (hamstring), and cornerback Donte Deayon (fractured forearm) on Injured Reserve. 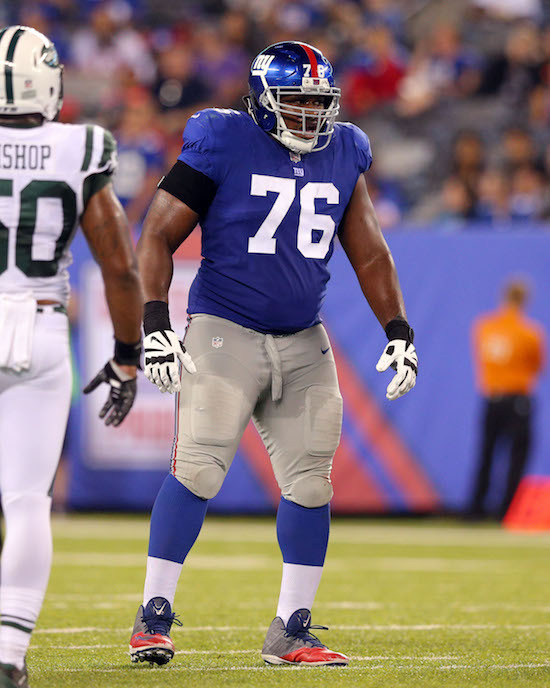 Fluker injured his toe in the November 19 game against the Kansas City Chiefs. The other three players were injured during the Thanksgiving game against the Washington Redskins. The Giants also claimed linebacker Ray-Ray Armstrong off of waivers from the San Francisco 49ers and signed free agent linebacker Jeremy Cash. Armstrong was originally signed as an undrafted rookie free agent by the St. Louis Rams after the 2013 NFL Draft. He has spent time with the Rams (2013-2014), Oakland Raiders (2014-2015), and San Francisco 49ers (2015-2017). The 49ers waived him in November 2017. The 6’3”, 220-pound Armstrong has played in 58 regular-season games with ten starts, five of which came in 2017 with the 49ers. Cash was originally signed as an undrafted rookie free agent by the Carolina Panthers after the 2016 NFL Draft. He has spent time with the Panthers (2016-2017) and New York Jets (2017). The 6’0”, 230-pound Cash has played in nine NFL games with no starts. Select New York Giants players will be available to the press on Tuesday. The Giants return to practice on Wednesday in preparation for Sunday’s away game against the Oakland Raiders. In addition, multiple sources are reporting that the Giants will sign WR Travis Rudolph to the Practice Squad. All nine players were with the New York Giants this preseason. Each NFL team can have up to 10 players on its Practice Squad. The league now allows four players per Practice Squad to have up to two accrued seasons (an accrued season means a player who was on full-pay status for six or more regular-season games on a club’s active/inactive, reserve/injured, or reserve/physically-unable-to-perform lists). Aside those four players, players on an active roster for less than six games or were a part of a 46-man active game-day roster for fewer than nine games qualify for a spot. Practice Squad players only practice with the team; they cannot play in games unless signed to the 53-man roster. Practice Squad players are free to sign with other NFL teams, but they have to be signed to the 53-man active roster of the acquiring team. A Practice Squad player cannot be signed to another team’s Practice Squad unless he is first released. The Bergen Record is reporting that the conditional 2018 draft pick the New York Giants gave to the Pittsburgh Steelers for cornerback Ross Cockrell is a 7th rounder. Tight end Will Tye, who the New York Giants waived on Saturday, was claimed by the New York Jets on Sunday. The New York Giants’ offense continued to struggle in the second preseason game as the Giants fell to the Cleveland Browns 10-6 on Monday night at FirstEnergy Stadium in Cleveland. 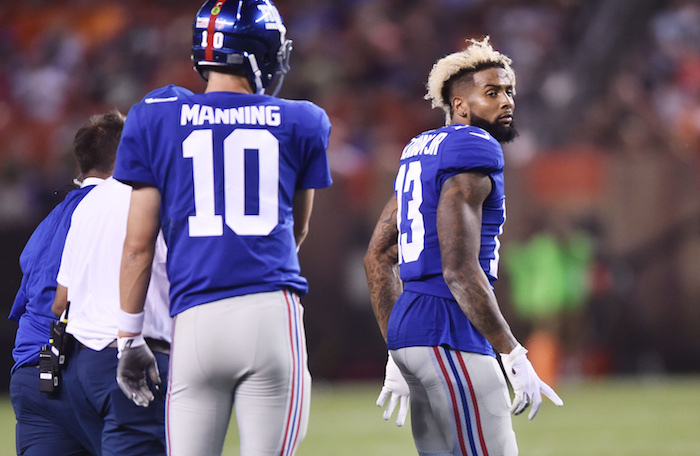 But the more alarming news for New York was on the injury front as wide receiver Odell Beckham (ankle), wide receiver Brandon Marshall (shoulder), wide receiver Tavarres King (ankle), and cornerback Michael Hunter (concussion) were all forced to leave the game. X-rays on Beckham’s ankle were negative, but he will undergo further evaluations on Tuesday. The Giants did not provide an update on Marshall after the game. King, who has missed a couple of weeks with an ankle injury, appears to have re-injured it. And Hunter will now enter the NFL’s concussion protocol. For the second game in a row, the Giants failed to score a touchdown. 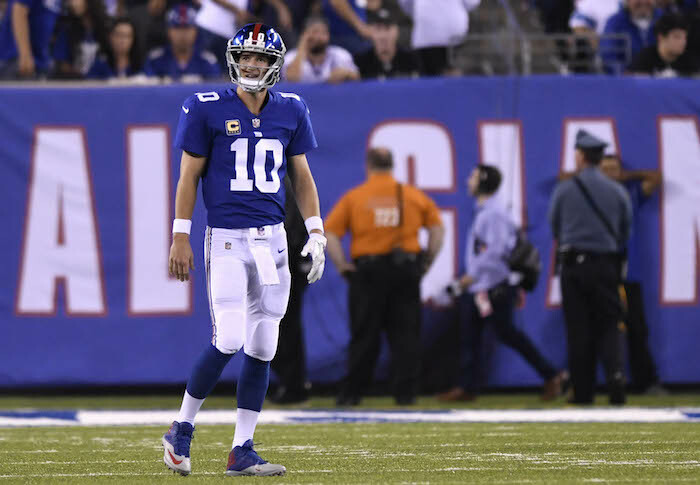 Quarterback Eli Manning was a respectable 10-of-14 for 80 yards, but the offensive line again had issues pass and run blocking. Despite accruing 16 yards on one run, starting halfback Paul Perkins finished the night with 10 yards on six carries. Overall, the Giants were held to an embarrassing 212 total net yards (147 yards passing, 65 yards rushing) and 13 first downs. The offense also turned the football over three times, including an interception by quarterback Geno Smith and fumbles by wide receiver Sterling Shepard and running back Wayne Gallman. 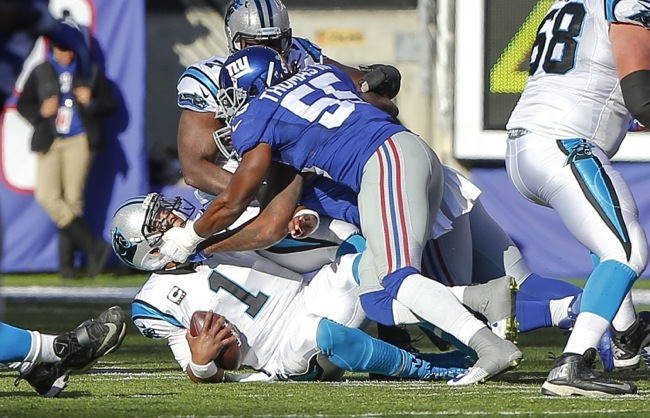 The Giants were 3-of-12 on third down and 0-for-2 in red zone opportunities. On the positive side, the Giants’ defense continues to play well. The Browns were held to 242 total net yards (134 yards passing, 108 yards rushing) and 18 first downs. Defensive end Olivier Vernon tipped one pass that defensive end Jason Pierre-Paul intercepted. Both ends also split a sack. Linebacker B.J. Goodson also picked up his second sack in two preseason games. Wide receiver Odell Beckham, Jr. left the game with an ankle injury. X-rays were negative, but the Giants said he will undergo further evaluation. Beckham was also evaluated for a possible concussion, but cleared. Wide receiver Brandon Marshall injured his shoulder in the game. Cornerback Michael Hunter left the game in the 3rd quarter with a concussion. Wide receiver Tavarres King left the game early with an ankle injury. Not playing in the game were running back Shaun Draughn (ankle), wide receiver Dwayne Harris (upper body), wide receiver Darius Powe (hamstring), wide receiver Andrew Turzilli (hamstring), offensive lineman Adam Gettis (eye), offensive lineman Michael Bowie (arrest warrant), linebacker J.T. Thomas (knee), linebacker Keenan Robinson (concussion protocol), and linebacker Mark Herzlich (stinger). 2016 YEAR IN REVIEW: Ever since the New York Giants moved to the 4-3 defense in 1994, the team has largely de-emphasized the acquisition of linebackers in terms of premium resources. The last time the Giants drafted a linebacker in the 1st round was 1984 (Carl Banks). The last three linebackers drafted in the 2nd round were Clint Sintim (2009), Kanavis McGhee (1991), and Pepper Johnson (1986). From time to time, the Giants have spent big money on linebackers in free agency, including Michael Barrow (2000), Antonio Pierce (2005), and Michael Boley (2009). Not surprisingly, the overall play of the position has declined since its golden era of the 1980s, with the last linebackers to make the Pro Bowl being Pierce (2006) and Jessie Armstead (2001). Now annually, the team’s talent level at the position is usually considered sub-par and the defensive weak spot. ADDITIONS/SUBTRACTIONS: The Giants chose not to re-sign Kelvin Sheppard, who started 11 regular-season games at middle linebacker for the team in 2016. The Giants re-signed unrestricted free agents Keenan Robinson and Mark Herzlich to 1-year deals. The team also signed journeyman street free agent Curtis Grant and rookie free agent Calvin Munson. TRAINING CAMP STORY LINES: Once again, the Giants made no major player acquisitions at linebacker. The #1 story line here is tracking how well second-year player B.J. Goodson can take over at middle linebacker for Sheppard. Goodson has been praised by coaches and players for his work during the spring, but he has to demonstrate that he can not only stuff the run, but cover tight ends and running backs. The middle linebacker is usually a defensive leader on most teams and it will be a big jump for Goodson, who only played a handful of defensive snaps in 2016. It assumed by many that Jonathan Casillas, Keenan Robinson, and Devon Kennard will remain the other top linebackers on the team. Can Casillas continue his career renaissance or was 2016 his high point? Can the injury-prone Robinson string together two healthy years in a row? One gets the sense that Kennard still hasn’t reached his true potential, but he must also stay healthy. 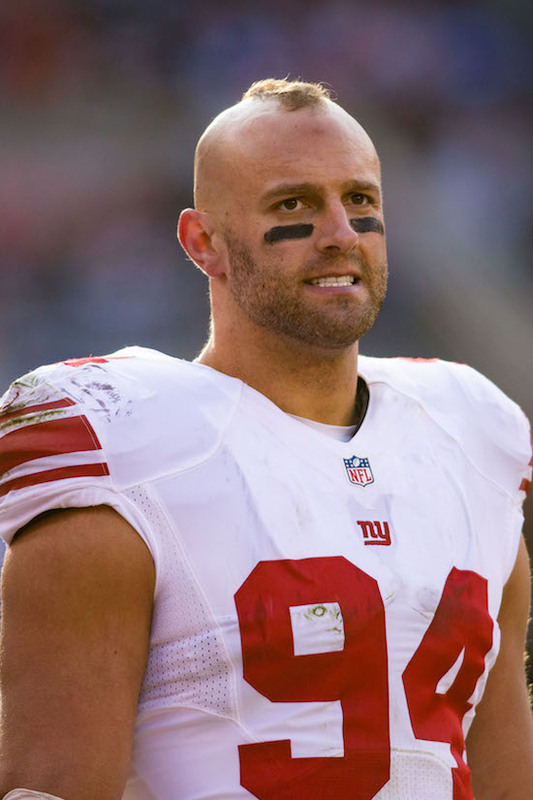 ON THE BUBBLE: Mark Herzlich, J.T. Thomas, Deontae Skinner, Curtis Grant, Stansly Maponga, and Calvin Munson. PREDICTIONS: This group is lucky to be sandwiched between the talent on the defensive line and defensive backs. As of July 2017, clearly there are still no headliners at this position for the Giants. That could change if Goodson or Kennard have breakout years. The key with Goodson will probably be his coverage ability. Can he become a three-down linebacker? I keep waiting for Kennard to have that breakout game. He has the smarts and physical tools. It just hasn’t happened for him yet. Casillas and Robinson had solid seasons, but they have to prove they can do that again. FINAL DEPTH CHART: Barring injury, the obvious ones are B.J. Goodson, Jonathan Casillas, Keenan Robinson, and Devon Kennard. After that, it gets murky. The Giants could keep as few as six linebackers. It is doubtful they will keep eight. Herzlich keeps seeing his defensive snaps reduced, but is clearly still valued as a core special teams player. The wild card is J.T. Thomas, who is still recovering from a serious knee injury. The fact that he has not been cut seems to indicate the Giants still have plans for him or see him as insurance. I’ll say the Giants keep seven linebackers, including special teams aces Herzlich, Thomas, and Deontae Skinner. I would not be shocked to see the Giants replace one of these three after the final roster cuts. Virgies is a small school back who was not drafted or signed after the 2016 NFL Draft. He did work out with the Packers, Colts, and Winnipeg Blue bombers of the CFL. Virgies has good size and outstanding speed. 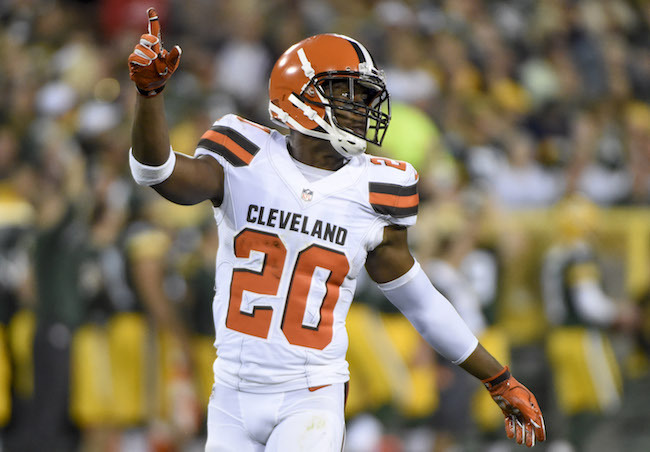 Wallace was originally signed as an undrafted rookie free agent by the Cleveland Browns after the 2013 NFL Draft. He has spent time with the Browns (2013), Panthers (2014-2015), Buccaneers (2015), Bears (2015-2016), Cardinals (2016), and Jets (2016). Wallace has only played in one regular-season game with no starts. He has very good size. Grant was originally signed as an undrafted rookie free agent by the San Diego Chargers after the 2015 NFL Draft. He has spent time with the Chargers (2015), Falcons (2015), Titans (2016), Raiders (2016), and 49ers (2016). Grant is a well-built, physical linebacker whose instincts and agility have been questioned. He was considered the #1 inside linebacking prospect coming out of high school. Moore was originally drafted in the 2nd round of 2011 NFL Draft by the Denver Broncos. 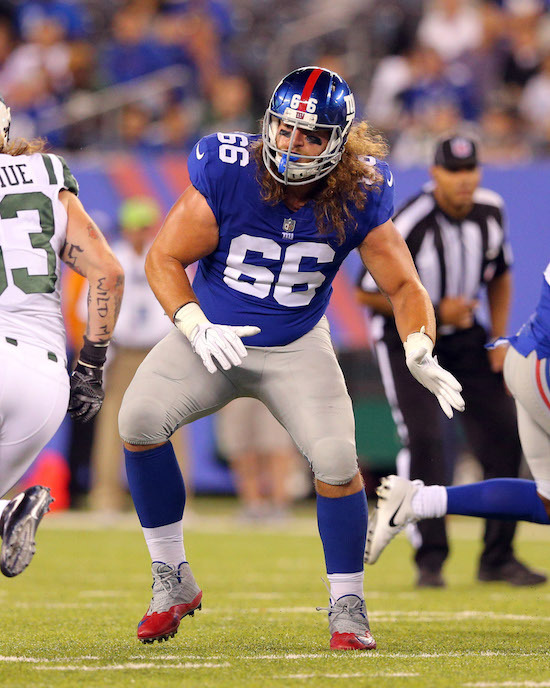 The Giants pursued Moore in free agency in 2015 before he signed with the Houston Texans, who waived him in March 2016 after he was benched for the bulk of the season. Moore signed with the Browns last year but he did not make the team. Moore lacks ideal size but he is good athlete with fine range for the position. He is not a physical player against the run and he misses too many tackles.